We have just built a fully functional purpose built spray shop on the side of our garage. 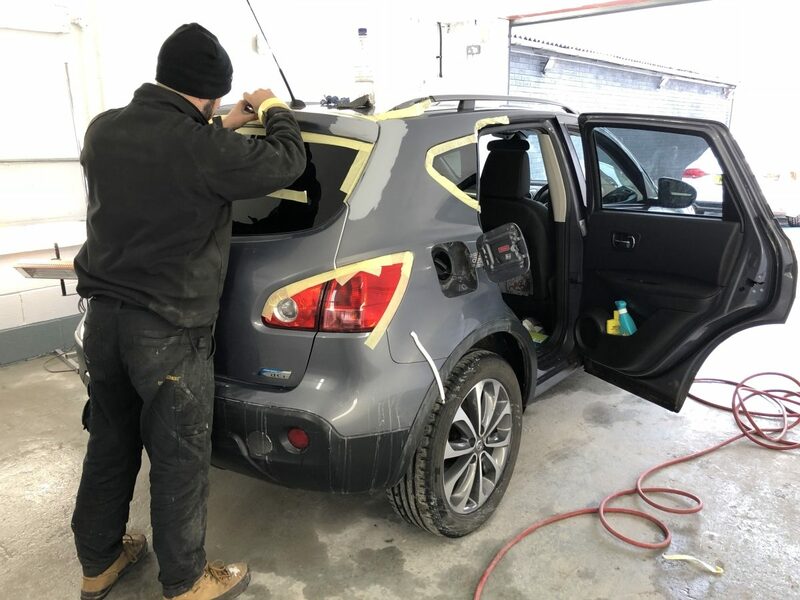 Its fully equipped to take on any vehicle painting needs, including Accident damage repairs, Dent and Scratch repair, Wheel refurbishment. 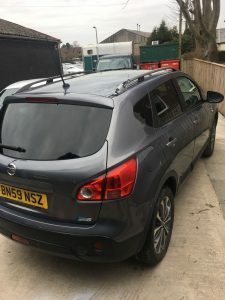 It all began with a customer’s simple request – “I’ve bumped my car, can you help me out?” Fortunately garage owner Stephen Flynn could. 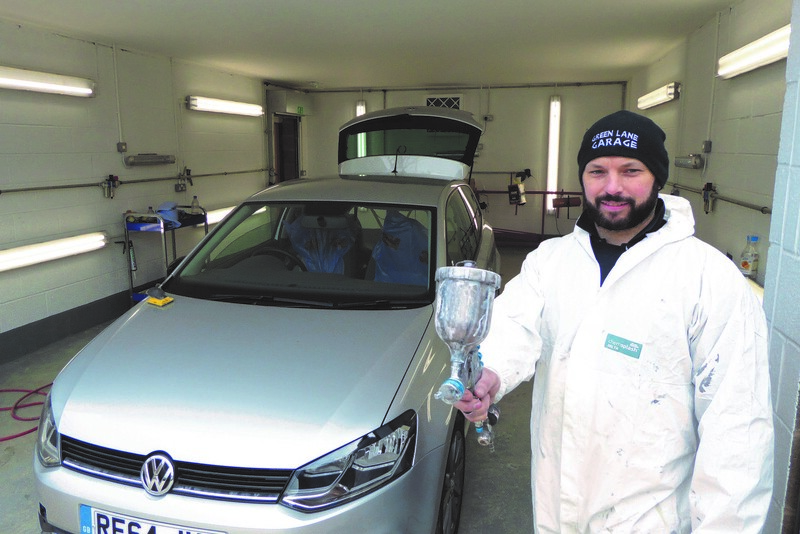 He’d been using self-employed mechanic Damien Bradley to cope with the garage’s ever-increasing workload … and Damien also happened to be a qualified panel beater and spray painter. “Damien sorted the scratch out and that gave me the idea,” recalled Stephen. 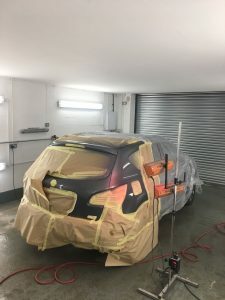 The idea developed into a brand new paint booth (below), with lighting and heaters, built by the side of his workshop. The body shop opened in February and Damien has been taken on full-time. 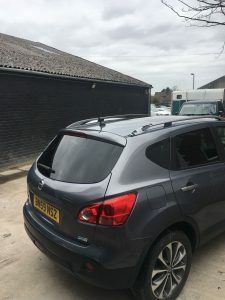 Stephen said the body shop could cope with both accident damage and smart repairs – dents scratches and alloy wheel refurbishments. 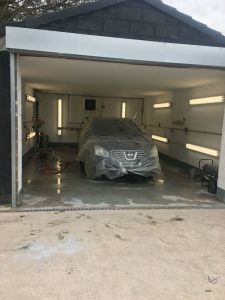 Our Brand new Body shop is open and ready to fix and repair any kind of damage to your vehicle from small scratch repairs to large body repairs, accidental damage, Wheel refurbishment, and Dent repair. 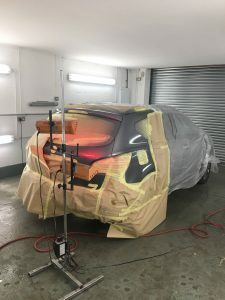 Damien Bradley has many years experience in body shop repairs and was highly sort after for his excellence in Car painting. 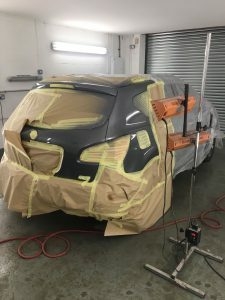 He has already painted many cars already in our brand new Body shop from Accident repairs, Dents small and large, Scratches in the paintwork, and full alloy wheel refurbishment. 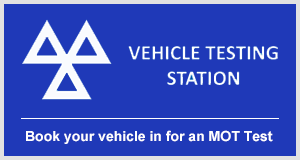 Please call into Green Lane Garage and See Damien to get an instant quote on any repair work needed to your Car, Motorhome, 4×4, Motorbike, Caravan, Commercial Vans.